Tickets can be purchased online for certain dates throughout the year. There will be entertainment throughout the weekend on the stage in the event field at Buckfastleigh, plus a bar and live music, vintage road vehicles, trade stands, and, of course, plenty of heritage steam and diesel trains throughout the day, and into the evenings on Friday and Saturday! Tickets are normal prices all weekend, and can be purchased on the day or, purchased online in advance. Round trip tickets are valid for unlimited travel all day. Entry to the event field at Buckfastleigh is FREE for holders of round-trip rail tickets. ‘Event field only’ tickets are also available (on the day only) £6 adults and £3 children. In addition, we are delighted to be able to offer an additional special evening deal for those wishing to only attend the music entertainment and travel there by train. 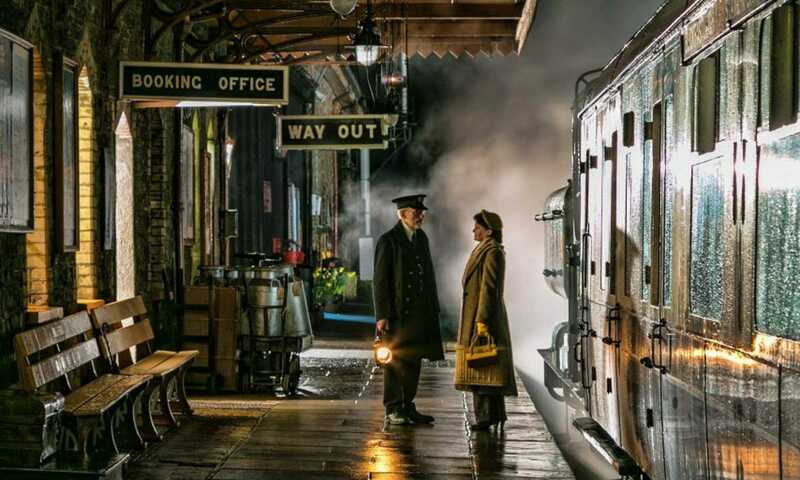 A special evening ticket valid on trains from 5.30pm onwards and giving access to the event field – £10 for adults and £6 for children – ideal for travelling to the music entertainment by train from your home station to Totnes, and then to Buckfastleigh by the SDR. This evening deal is bookable online in advance only. Experience the British Fireworks Championships with all the fun of the fair and music on Plymouth Hoe this summer with our Routemaster bus excursion from Ashburton, Buckfastleigh and Ivybridge. This excursion was very popular last year so please book early! Arrive in time to enjoy all the pre-show entertainment and firework display at Plymouth. 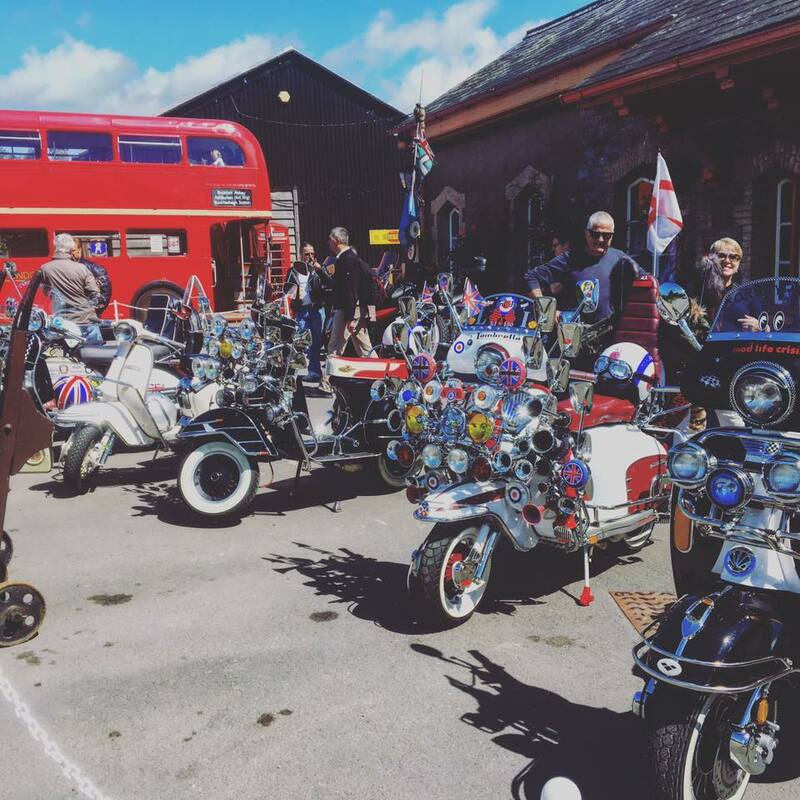 Departure times:- The bus will stop at Ashburton Bull Ring 18.30 (westbound) Buckfastleigh Railway Station Forecourt 18.45 and St Leonards Road in Ivybridge 19.15 (next to the BP Station). Free car parking is available at Buckfastleigh Railway Station. Return time:- 10.45pm from Royal Parade, Plymouth. You can book online or by phone, 01364 644 370. We are running trains again from Tuesday 20 March as planned. Thank you to everyone for your patience. If you have pre-booked tickets for Monday (or Sunday, and were unable to use them) then you are very welcome to re-book for another day, or have a refund. Please contact our office on 01364 644 370 and we will be pleased to make the appropriate arrangements. Well done and thank you to all our staff who put in a huge effort to run trains today. Due to the continued poor conditions and weather warnings we will not be operating any services on Monday 19 March. This is to allow our staff time to get home and recover, to allow to put our equipment back in order from today. If you have pre-booked tickets for Monday (or today, and were unable to use them) then you are very welcome to re-book for another day, or have a refund. Please contact our office on 01364 644 370 from 11am Monday onwards and we will be pleased to make the appropriate arrangements. Once again, thank you to everyone who pulled together today to enable us to run trains. Inside intel: Work on the points at the south end of Buckfastleigh won’t quite be finished by this weekend, so hand-signalling scenes will be in operation at Buckfastleigh. Well done to all our SDR staff and volunteers who have been working on Car Park bridge over the last few weeks. Here are some photos of the track being reinstated. 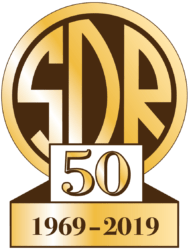 A logo is required for the branch to use to celebrate its 50th anniversary! The logo will be used in place of the normal SDR logo on all publicity and printed materials throughout 2019. Several people around the railway have put their thinking caps on to see what they can come up with as a design, and as so many people are now interested, we thought it would be a good idea to open it to everyone! This is a really very rare opportunity to make your mark on a significant heritage railway anniversary year – a year which, from the suggestions received so far into what a celebration gala should contain, looks like it will be one of the biggest SDR events ever! Designs submitted can make use of the SDR splasher logo or the SDR shirtbutton roundel if desired. The logo should ideally make the ’50’ or ‘fiftieth’ prominent. Other symbols etc representing the branch or the SDR are also welcome. The logo needs to be clear, easy-to-recognise, and present a positive image of the SDR. Expensive clever computer software is not required, as the chosen logo will be sent to a design company to be professionally made up in any case. Submissions of design concepts are welcome, or paper hand-drawn designs, or computer designs too. There is no limit to the number of designs a person may submit, and this is open to everyone, both internally and externally to the SDR. If you would like to submit one or more designs, please send these to Danny Scroggins by the end of March. The logo design chosen will be announced later in the year. Small print: Please note that, by submitting a design, you are donating that design, including copyright, to the SDRT. The SDR may use it in any way, without limitation on use or time. The author of the logo will be acknowledged when the chosen design is announced, but not credited on each specific use of it. Join one of our popular Dining Trains from Buckfastleigh station and enjoy a traditional Sunday Lunch or Afternoon Tea. Dining Trains are running on certain Sundays throughout the year – for more information, see our Dining Trains page. You can enjoy a traditional three course Sunday Lunch aboard the 12.15 train from Buckfastleigh. Passengers will be served a traditional Soup, followed by a Roast Lunch with choice of meat (or Vegetarian option if booked in advance), and finished off with a choice of Dessert. Tea and Coffee will be served after the meal and an at-seat bar service will be in operation serving alcoholic and non-alcoholic drinks. View the full Sunday Lunch menu. Or, you can join the Restaurant Car from Buckfastleigh at 15.45 for a traditional Afternoon Tea of Sandwiches, Savories, Cakes and a Cream Tea served to your seat. The Experience lasts for 1½ hours and is the ideal way to indulge in traditional West Country delicacies whilst enjoying the beautiful Devon scenery. View the full Afternoon Tea menu. Every year we welcome hundreds of school children to the SDR. They come to find out about railway history in particular the role of the train in World War Two and the characters involved in building the tracks and bridges in Victorian times. School visits are also an important part of our business as they bring revenue directly to the railway and the children are important ambassadors persuading parents, families and friends to come and see us in the future. Typically children from Devon’s primary schools visit us for a day which includes talks and practical sessions along with a train ride. These visits take place mid-week in April, May, June, September and October. We’are looking for other volunteers to join us to put the 2018 programme together and deliver it. Could you talk to a group of 7 year olds about Brunel? Could you help tell them what it was like to be an evacuee or how rationing worked? Have you got any wartime memorabilia you’d be prepared to demonstrate and let the children try out? If you’d like to help please get in touch! Well done to everyone involved in the replacement of Car Park bridge at Buckfastleigh – including working in the snow today! As well as the bridge, a lot of track work is going on – two sets of points have been lifted as part of this job for remedial work to me done.